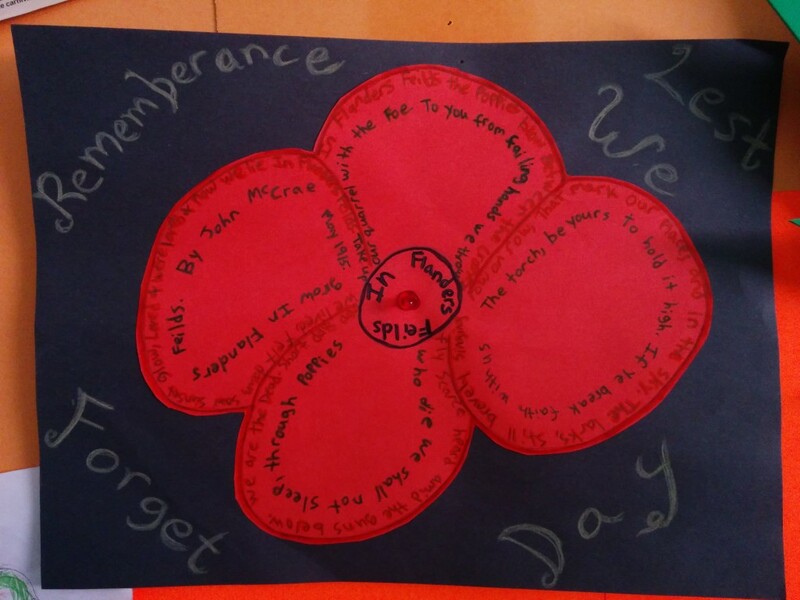 Wednesday was Nov. 11 Rememberance Day. Some call it Veterans Day, which ever it's the same thing. These were Vertans that were in the wars in the past. There are still small wars going on today. I'm alittle late in posting something up, I did though post up on social media of my poppy I made at work with the poem In Flanders Fields going around the edge of it. I had also painted my nails with crosses and poppies. Saw this video the other day at youth night on Wed. and it makes you think as well as your watching other things about wars on TV that it's alot to give it your all. I don't think I could do that, to go through with whatever comes at you thinking there's a possibility that I might not make it. I rather play a video game than to go out and do it in reality. As Christians we are always fighting a spiritual war. I've won and lost battles, I've been spirutally ripped appart and broken by some others in the last couple of years that chose not to see potental that I can have to do God's will. Sometimes when there's suffering there can sometimes be victory after the rain. Chirst made His sacrifce upon and for this world so we can celebrate the victory with Him later! "For God so loved the world that He gave His only Son, so that everyone who belives in Him shall not perish, but have eternal life"
This entry was posted in Devotions, Images, Videos and tagged Remembrance Day, sacrifice by Tigger. Bookmark the permalink.